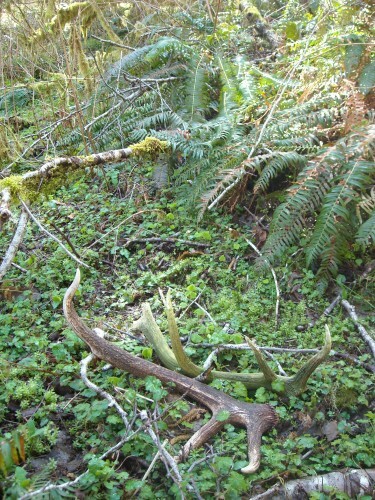 Do you shed hunt in the Pacific Northwest for Roosevelt sheds? If you don’t it’s a great way to learn an area, the animals that made it through the past season and it is a superb way to get out and have some fun with the family. 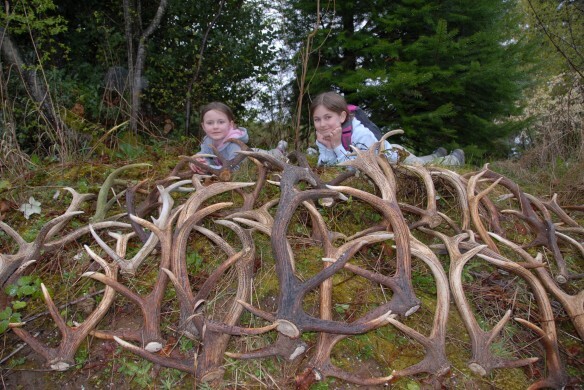 Most shed hunters know, you want to focus in on south facing slopes. 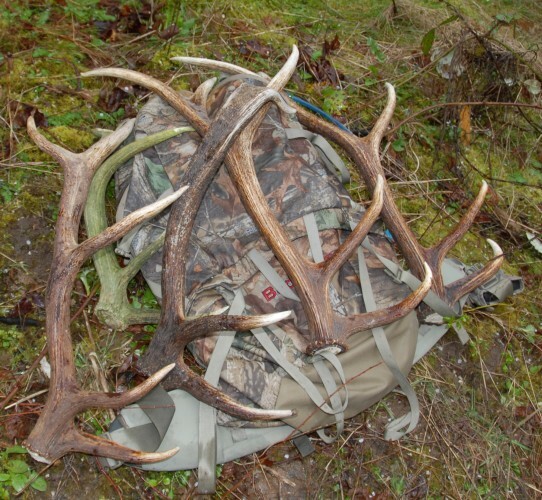 I agree but I want to add another twist that I use for finding even more Roosevelt elk sheds. 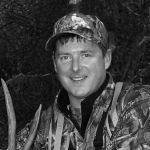 I’m the type of person that feeds on consistency and when I shed hunt I have to admit, by nature, I tend to hike in on the same trail and follow the same general route to south facing bedding areas where I have had success finding some bone in the past. The problem is I tend to find that I do this year after year and I never learn anything more about the area and I don’t tend to find a lot of the sheds that I now know sit waiting to be found. One such example was this past week I headed in on my typical route to a south facing bedding area. Upon arriving I found a nice 5 point shed. Success! I looked around the general area but didn’t find any more. Then following my natural instinct I started heading out of the area in the same direction just on a slightly different route back to my truck. Then I saw some fresh elk trails heading around the ridge to a northeast facing slope which reminded me that I was stuck in a “shed hunting rut”! I laughed at myself and headed north. As I dropped down over the ridge I found a large bowl of ferns on the north side hammered with elk sign. A little further and I found another shed, still further another, and few steps later a fresh shed nestled right near an old shed from years past. I gave out a chuckle to myself knowing I nearly missed out on finding all these sheds because I was stuck in a “shed hunting rut”. I have used this approach many times through the years and I cover many slopes that aren’t south facing. I believe south facing slopes are often times key to finding sheds in some areas but I have found more Roosevelt sheds in Oregon and Washington on east facing slopes than I have on south facing slopes to be honest. My theory is that typically Roosevelt don’t have to deal with the severe weather (like snow) and what weather does come in, comes from the west coast. East facing slopes along the coast don’t tend to be severely colder than their South facing counterparts. They also provide some shelter from the incoming coastal weather not to mention they tend to hold a good amount of cover, water and forage throughout the year. 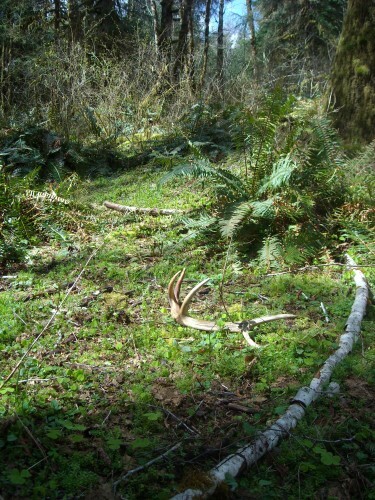 All this adds up to another area Roosevelt bulls tend to spend time and therefore improve your chances of finding shed antlers. So the next time you head out hunting for Roosevelt elk sheds don’t get stuck in your usual rut of looking only at south facing slopes or taking the exact same route to your favorite spot. Check out some of the other approaches and slopes as well and you might be surprised at what you find and learn. 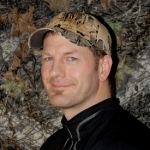 Stan Woody is a home-grown Pacific Northwest bowhunter. His adventuresome spirit and work have taken him to countries all over the world, including: Israel, Turkey, Malaysia, China, Canada, Taiwan, Japan, England, and many places in between. Great post, Stan. The part I’d change is not going with you that day!